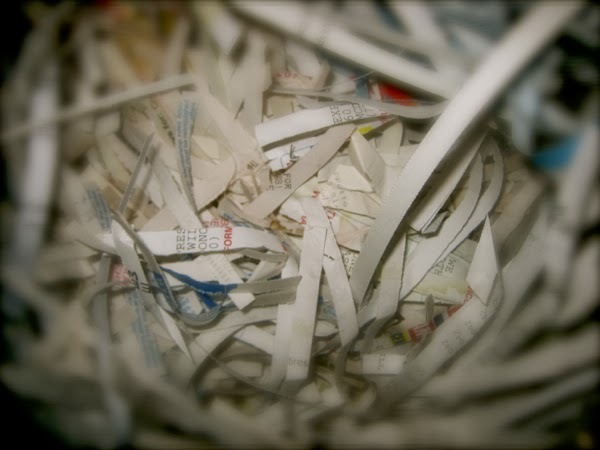 From realtor Joan Kaplan: Join us at our 4th Annual Free Community Paper Shredding Event on Saturday, January 25, 2014 between 9:30 am- noon (or until the truck fills up) and again on Sunday January 26, 2014 between 1:30pm-4:00 pm (or until the truck fills up) located in the Toco Hills Shopping Center at 2899-A North Druid Hills (on the Kroger side), hosted by Joan Kaplan of Marshall Berch & Associates Real Estate of Palmer House Properties. Gather up your old documents to be shredded & destroyed on-site (while you watch) the EcoShredding truck. Maximum of 5 boxes per vehicle please. We teamed up again with professional organizers Linda Lanier and Michelle Cooper of Put-it-There Professional Organizers to host this free community event. For more information contact Realtor Joan Kaplan at 404/ 281 4106 or joan@joankaplan.com. What to shred? Consumer Reports has some guidelines on how long to keep documents.